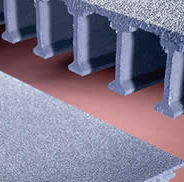 Utilicover is an underutilized FRP (fibreglass reinforced plastic) product. It is essentially a customized FRP trench covering system tailored to each customer’s individual needs but for a customized product, is remarkably easy to quote. When you approach us for pricing we will send a one page form with a diagram asking for a few simple dimensions and if the trench is a type “A” (does not buttress against a wall, IE. symmetrical) or type “B” (trench is buttressed against a wall or other obstruction and thus needs to be asymmetrical). We also need to know the length of the trench to be covered. FRP is ideal in this application: it will not rot, rust, absorb moisture and is electrically non-conductive. It is maintenance free except for cleaning and resistant to a wide range of chemicals. In short, it provides an optimal trench cover for your application. To get started with your application contact us today. When one thinks of FRP grating they think of it as flooring replacing steel walkways. However, a major application for the product is as a screen especially for large transit projects such as commuter rail projects. In this application, various forms of grating are positioned vertically just like steel or wood fencing. However, unlike those traditional materials, FRP needs far less maintenance. Steel and wood fencing will require re-painting, suffer peeling of paint, become marred with unsightly scratches, and corrode or rot. FRP when used as a fence suffers none of these problems. On the contrary, FRP provides years of near maintenance-free use. It will not need repainting, will not peel, corrode, or rot. The only cleaning it would require is to remove physical debris from the fence: that’s it. The grating will come with UV-inhibitors so it keeps its look exposed to the outdoors. 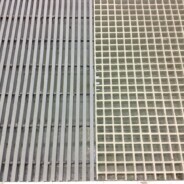 In many applications, FRP grating has been used for 25+ years outdoors without the need for replacement. All this aside, FRP is also extremely strong in regards to taking impact or load – all the better when used as a fence or screen! For answers to your questions about Redco FRP being used as a screen please contact us. Deflection is one of the most important topics when it comes to FRP (fiberglass reinforced plastic) grating and it’s a topic any customer working on a new FRP application should be concerned with. Deflection refers to a level of “bounce” FRP grating has when a load gets placed on it. Problems really start to occur when the load is dynamic, IE. someone walking on the grating where their weight is being applied and removed. At a certain point the deflection becomes so severe that it makes walking on the grating dangerous as you could fall. The way around deflection is to reduce the span, IE. the distance between supports. The closer the supports are together, the less deflection there will be. What is handy is that our brochure available here gives some tables of reference for the safety factor and deflection for a variety of grating profiles at various spans. This would serve as a good start as you consider your application. It is said that deflection, not strength, governs the designs of FRP grating projects and for the most part this is true. If you have further questions about deflection or how it might affect your application please contact Redwood Plastics. Custom FRP (fiberglass reinforced plastic) ladders are a common inquiry we receive. The ladders replace metal ladders and last longer because they are corrosion-resistant. They are also light, easy to install, and available in specialty grades such as NSF 61 certified for potable water contact. While some parts of the ladder are standard and the “blanks” can be filled in by us on a quote request, there is still some critical information we need from you, the customer. The main piece of information that is often missing in a ladder request is to do with a cage. Firstly, we need to know if you even want a cage but we also need to know if you want the standard “walk-thru” or side mounted cage. We also need to know if we can floor mount the ladder or can wall mount only. 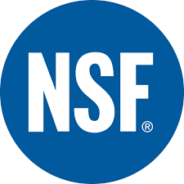 Any special certifications that are required, such as being NSF 61 safe, need to told to us upfront. Options such as custom color or painting of the ladder and knowing if we’re required to provide a freight charge should be discussed up front. 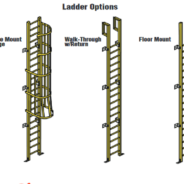 When it comes to the process of ordering a ladder that can sometimes seem unclear. Every FRP ladder contract will require a drawing to be approved first prior to production of the ladder. This drawing must be signed and faxed or emailed back to us. It takes up to 2 weeks to get the drawings and once approved, a further 3-4 weeks to manufacture the ladder. This means a total lead time of 4-5 weeks from purchase date to shipment. For a quotation on a FRP ladder or to answer questions you may have please contact us. 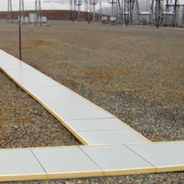 One area our customers get confused sometimes is that we offer two types of FRP (fiberglass reinforced plastic) panels. Also, as the FRP wall panels are a “commodity” plastic the public would encounter in everyday life, they may think they are the EXTREN panels. But lets look at the key differences between the products. FRP wall panels are primarily white “pebble embossed” panels meant for areas like food processing plants and gas station bathrooms. 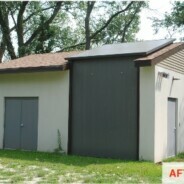 The panels are durable and easy to clean. They come in 4′ x 8′ or 4′ x 10′ sheets with a standard thickness of 0.090″. They are FDA and CFIA approved for indirect food contact. EXTREN FRP panels; however, are not meant for food-safe applications but are otherwise more versatile. They’re much thicker, starting at 0.125″, and available in all three EXTREN resin types. They can be used in structural applications such as flooring. The panels can also come in virtually any size up to 5′ x 10′. The key difference is the variety of the EXTREN panels in thickness of 1/8″-1″ and 4′ x 8′ or 5′ x 8′ panels. The EXTREN panels are higher quality and more expensive but are not meant for the same applications. If you have questions about the types of Redco FRP paneling available please contact us. (NOTE: Redwood Plastics can only sell FRP wall panels within Canadian borders). 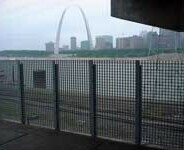 Redco FRP (fiberglass reinforced plastic) grating systems are available in a variety of resin systems. Most customers are fine with the standard polyester and a few need the extra corrosion-resistance of the vinyl ester resin. But what if fire safety is the key concern? It might come as a surprise but we do offer a grating with a resin system for such concerns. 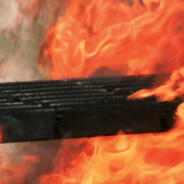 Redco Phenolic FRP grating systems offers superior resistance to flame and high temperatures. In addition, FRP is naturally low on thermal conductivity. REDCO™ DURAGRID® Phenolic grating was the first composite grating to receive U.S. Coast Guard approval. It is accepted for use in locations and applications as allowed in the U.S.C.G. Policy File Memorandum 2-98 for fire retardant grating meeting structural fire integrity Level 2(L2). That said, this is a premium product and is always supplied as a customized quotation. Minimum orders, color restrictions, etc. may apply. If you’re interested in Phenolic grating it is best to get in touch with one of our representatives for a comprehensive discussion of your application, scope, and budget. If you are interested please contact us today. Pultruded Grating For The Price Of Molded! Strongwell Corporation, the manufacturer of Redco FRP, has made a recent announcement that could shake up the FRP grating market. Pultruded grating has long been recognized as a superior option to molded grating in almost every way – except price. The upfront costs of molded FRP were much lower than the pultruded options and for better or worse, that was often the deciding factor in applications. But no more. 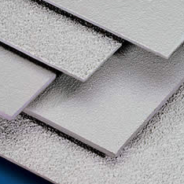 Strongwell will now stock the I-6500 panels in 1 and 1.5″ thick and the T-5800 panels in 2″ thick. This will provide an option to compete with FRP molded grating in 1″, 1.5″ and 2″ thicknesses. In most cases, this will result in a dramatic price decrease to customers! We can offer this pricing because of a change in the manufacturing process and standardization procedures. I-6500 1″/1.5″ and the T-5800 2″ will be stocked with cross-rods only on 8″ centers and in light gray or yellow color only. This allows us to reduce the price and increase availability of the product. In addition, the pultruded grating options offer similar strength as the molded grating but weigh less, which may be beneficial for installation and maintenance. The rest of the Redco DURAGRID (custom pultruded grating) will still be available as it has been previously. With the superior properties of pultruded FRP now at the same price as molded there shouldn’t be any reason not to give the better product a chance! For assistance with your FRP grating application contact us today. In many of the FRP (fiberglass reinforced plastic) jobs we encounter, certifications of one form or another are required. The good news is Redco FRP can be certified, or is already certified, by a wide range of organizations via our manufacturer, the Strongwell Corporation. Many of the certifications available have to do with various shipbuilding organizations and some are required by foreign customers. Perhaps the most important is the ISO 9001 certification of each plant. See the table below for a full list. 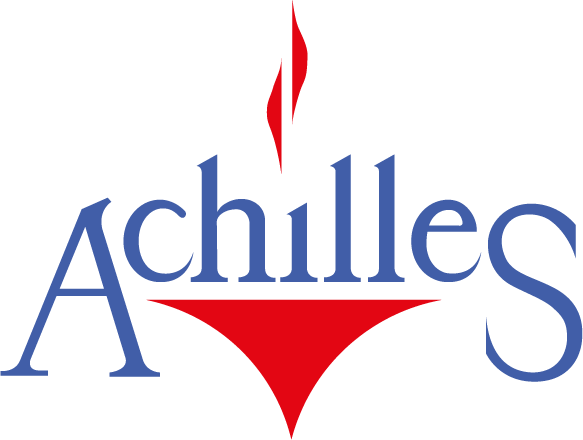 Strongwell Corporation is qualified in the Achilles Joint Qualification System for suppliers to the Oil Industry in Norway and Denmark. Strongwell Corporation Products manufactured by our facilities meet the criteria of the Buy American Provisions of the American Recovery and Reinvestment Act and qualify as “Manufactured Goods” according to the act. Strongwell Corporation has manufacturing facilities in Bristol, Virginia; Washington County, Virginia and Chatfield, Minnesota. CITY OF LOS ANGELES RESEARCH REPORT L.A.R.R. Strongwell’s VEF-UL resin formula meets the UL 94 certification requirements for plastic components. Sometimes the most creative solutions are some of the simplest. 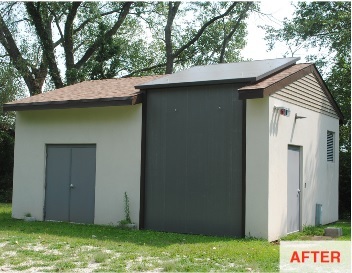 There recently was an American city (Joliet, Illinois) that was building a new well house for their water pumping station. 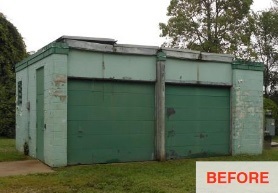 These building had previously been made out of brick and the problem was that maintenance was hard to do. A crane should have been needed to lift the pump or do maintenance but this wasn’t possible when the pumps were housed in a static building. Therefore maintenance and refurbishment of the pumps suffered. The solution was to get Strongwell’s engineering team involved. The decision was to use the DURASHIELD modular panels to build the new well house partially out of FRP products, including the roof. This would allow for large parts of the well house to be disassembled and a crane to be used for maintenance. 3″ x 24″ panels were used, these interlock via a simple “tongue and groove” design and are thus easy to install. The panels are very strong and are tested against both 100MPH winds and 40lbs snow loads. These innovative hybrid FRP-brick pump houses are expected to greatly outlast the former design.